If you’re familiar with Gillies and Mackay, you’ll know we don’t muck around with specification, especially when it comes to our Garden Rooms. We know what you need when it comes to staying warm, dry, loved and comfortable in your Shedlife. 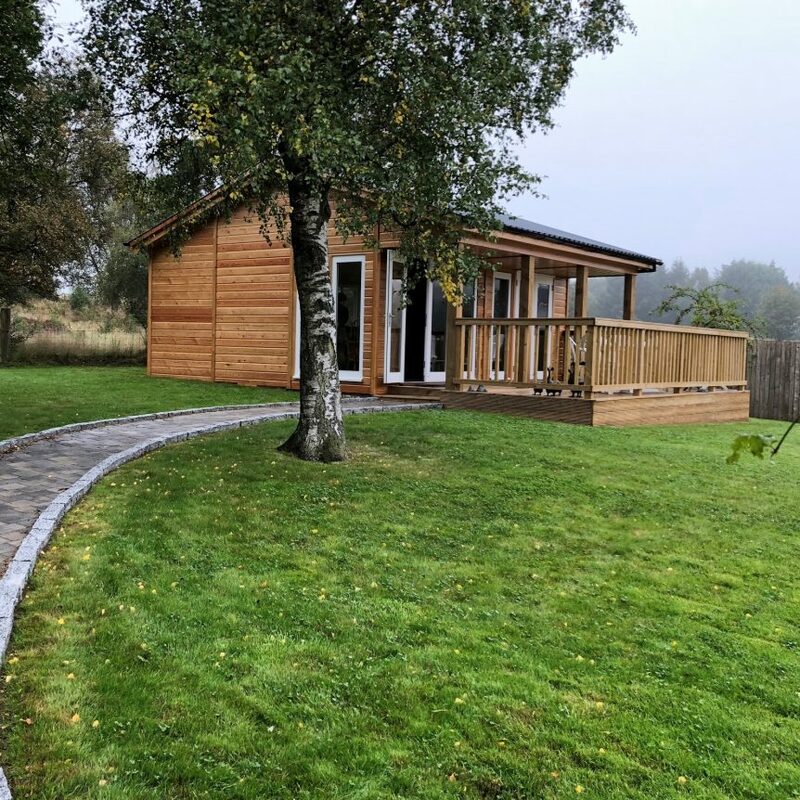 That’s why we have developed the best specification of Garden Rooms to withstand the Scottish climate. Grant and I love nothing more than to barter back and forth with new ideas, new technologies and a whole world of possibilities for design, specification and techniques. As standard, we will always use 19mm thick tongue and groove Redwood which has been tanalised to protect it against Rot and Fungi. 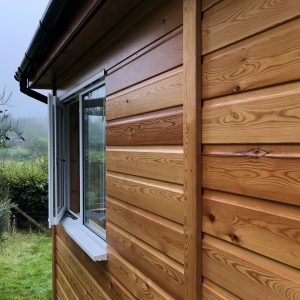 There are alternatives such as Siberian Larch and Close Board and Strap, depending on your own preference. 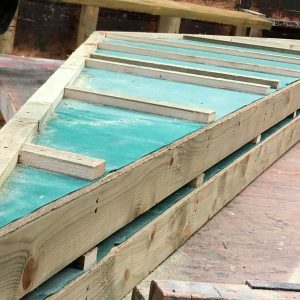 Water, as far as we’re aware cannot ‘jump’ – which is why a Cavity is the perfect solution to any moisture ingressing through the external weatherboard. The Cavity keeps the water on the outside and stops it from ‘jumping’ to the internal lining. This is a material that is water resistant but still allows air to flow. The membrane is lined between the cavity space and the OSB (oriented strand board) sheeting, known as the cold side of the insulation. This prevents the moisture (as well as all the other elements) penetrating through to the internal of the building. We love a bit of OSB. It’s not our primary material as it’s used as intended, to brace a structure. 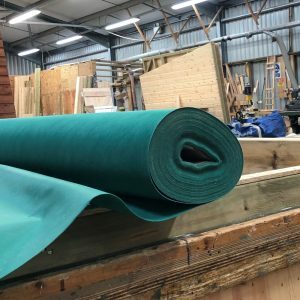 Depending on the size of structure we may use heavier timbers, but as a standard, we will never use less than 95mm x 45mm pressure treated C14 Graded framing. The strength of this timber is what you would expect to be used in new build homes. 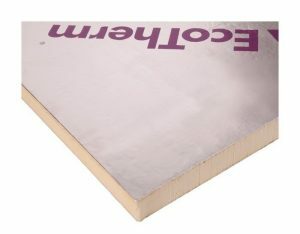 This is a rigid board compressed insulation – specifically made for fitting within timber frames, maximising internal space whilst still complying with building regulations. We love the versatility of Ecotherm and that it comes in a range of thicknesses. This is important when buildings need extra insulation because of their size. 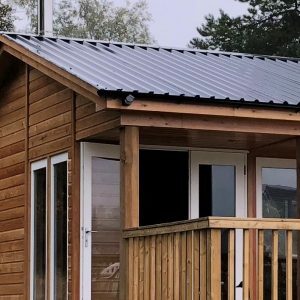 Should I insulate my Summerhouse? 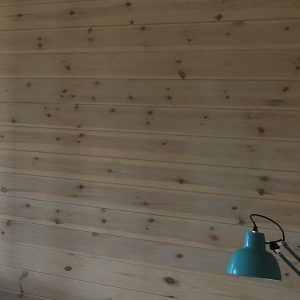 V’d Lining – is Scandinavian Redwood. Like the external cladding, it is tongue and groove but has a different profile finish. Both the fitting and finishing is carried out by Gillies and Mackay. Plasterboard – perfect for a smooth, modern finish. After fitting the plasterboard will need to be finished by a skilled decorator. This is our most favoured and common roofing option. We use Planwell, a fantastic firm in Buckie, Aberdeenshire. Murray and his team are amazing, they churn out massive quantities of Nova Permaroof for us on a fortnightly basis. The reason this option is so favoured is it’s 20-year guarantee and the fact it doesn’t leak! There are a couple of alternatives which are often preferred for Apex shaped roofs (pitched/pointed). 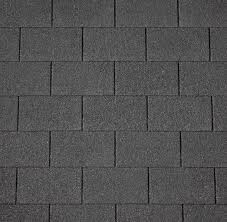 Armourglass Shingles are self-adhesive shingles made of Bitumen – slate chips on tar – which come in two shapes, square and hexagonal. Shingles offer a far more decorative feel to your Garden Room. Aesthetically more pleasing to some, rather than steel, but more expensive. However not as expensive as slate itself and is a good look alternative. It’s not often as a request or preference but it’s definitely something we can accommodate. Having a slate roof on your Garden Room is totally doable, you will need engineered trusses and a slater, but both of these things are arranged by us – so no need to dust off the ol’ Yellow Pages (who?). 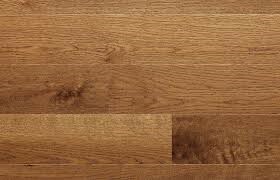 Quickstep Elka Flooring is definitely our preferred laminate flooring. So many dodgy alternatives out there. We love Elka and Elka loves us. The 25-year guarantee and beautiful range of colours really help too! This is how we build our Garden Rooms and what we use. There has been a good 30 years experience behind this specification and believe me, we’ve tried everything. So when I say this is the best we’ve got, you can be sure that’s exactly what you’re getting – THE BEST. I absolutely LOVE designing and building these beautiful creatures and all it takes is one little dream of a Shedlife from you to get started. Now you know the specification – Let’s talk DESIGN! !